Here's a traditional workspace with personality. 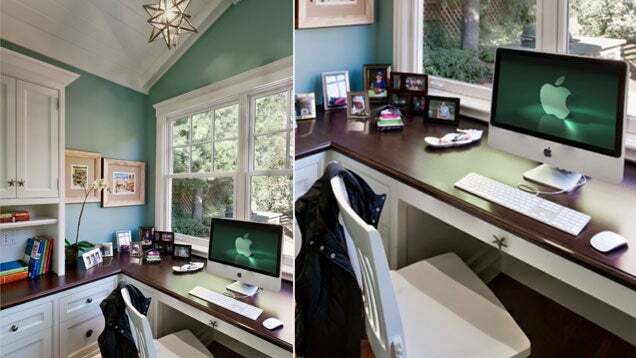 From the great wood desktop to the starfish pulls, it's the little details that make this office look pulled together. Viscusi Elson Interior Design designed this office, choosing a mostly white and wood colour scheme. The bluish-green wall paint (Benjamin Moore HC-138 Convington Blue Eggshell, FYI) adds a calming note, while the dark desktop adds great contrast in an otherwise airy room. I like that this office looks like one that someone actually uses, while still having a sense of style.